Farmers say consumers are increasingly turning to alternatives of the staple food. Potato growers in Scotland have said the industry is on the brink of crisis as they struggle with a huge surplus. Farmers say consumers are increasingly turning to alternatives of the staple food, meaning they have difficulty finding a market for the product. 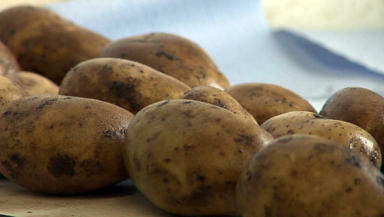 Sales of fresh potatoes have been on the decline for the last three years. Grower Alistair Melrose has said he expects to suffer "a very big loss" this year and may have to sell the crop for cattle feed. The problem exists across Europe, as growers have experienced ideal conditions for growing the crop but sales have been poor.